Sam Barlow has a symphonic, concert, freshman, jazz, and stage band. 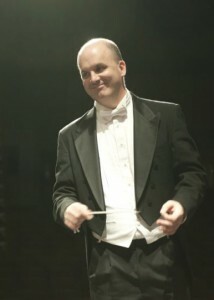 Director of Bands Paul Nickolas directs the Symphonic Band, Freshman Band, Stage Band, Concert Band, and Jazz Bands. There are over 200 students enrolled at Sam Barlow in the bands. The bands at Barlow have won many awards for excellence in district and also OSAA competitions. Band students at Sam Barlow that attend All State, All Northwest, or place at State competitions get inducted onto the Wall of Fame. 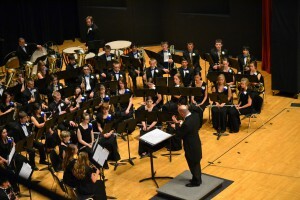 Paul Nickolas began to teach at Sam Barlow in 1999, after having completed a Masters in Wind Conducting degree at Indiana University. A born and raised New Yorker, Mr. Nickolas attended Indiana University and completed a Bachelor of Music Education degree with high distinction in 1994. He spent 3 successful years of band directing in Morris, Illinois before returning to Indiana University for his Masters. Mr. Nickolas and his wife Amy live in Troutdale with their daughters Julia & Molly, son John, and three pets.